What is Trust Administration and Why is it Important? - The Hart Law Firm, P.A. 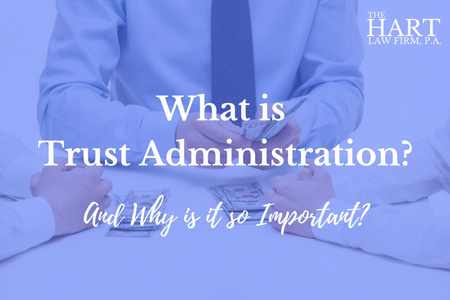 What is Trust Administration and Why is it Important? Many people don’t fully understand what trust administration is or why they need to go through the trust administration process. There can be a number of reasons for this misunderstanding, but the most common one is probably this – the grantor passed away and left you as the sole beneficiary of their trust. So now you believe (and rightfully so) that the trust and everything in it is yours. Why would you need to do anything else to administer the trust? It’s your money now anyway, right? What About Estate Tax Returns? What is Involved in the Process of Administering a Trust? When the grantor dies, the trust they created converts from a revocable living trust (in the vast majority of cases) to an irrevocable trust. The consequences of this conversion are most notable when it comes to taxes. Whereas the revocable living trust previously operated under the grantor’s tax id number, upon becoming irrevocable the trust now needs to have its own tax identification number. As an irrevocable trust, the trust is now its own entity and will file its own tax returns each year. Why is this important? Because at the Federal level, the trust tax rates are significantly higher than individual tax rates. So for that reason alone, it is vitally important that you administer the trust as soon as possible and distribute the assets as the grantor wished. When money is in trust and therefore does not have to go through probate, many people forget about all the little things that need to happen when their loved one dies. This is because you don’t need to go through the pain and aggravation of dealing with the court system to access your inheritance. For that reason, many people forget that they still need to do certain things, such as account for all of the assets in the trust as of the date of death and file an estate tax return if required. Even though it is highly unlikely that the trust will owe estate taxes, there could be a penalty for failure to file the estate tax return, even if no estate tax is due. The laws on this vary by jurisdiction (in North Carolina there is no estate or inheritance tax, and therefore no return is required). And at the Federal level, an estate tax return must be filed within 9 months of the date of death, if required. So if you find yourself in the position of having lost a loved one and in need of administering their trust, here are a few of the steps that you will need to take care of. The first thing you need to be aware of is the overall purpose of the trust administration process. Trust administration is about the grantor of the trust and what they wanted. For that reason, your goal during this process is the manage the trust property according to the terms of the trust document and for the benefit of the beneficiaries after the death of the grantor. 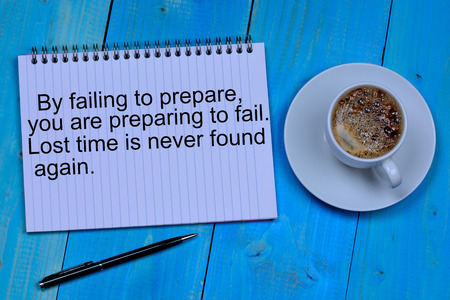 This process may involve many complicated and non-intuitive steps. For that reason, we highly recommend that you consult with a trust administration lawyer as early on in the process as possible. Doing so will help you to eliminate costly errors and mistakes. Sometimes you need to understand that you just don’t know what you don’t know – and that is where a trust administration lawyer can help. Regardless of whether you decide to work with a lawyer, one of the first things you will need to do is provide notice to all the beneficiaries of the trust. If you are the sole beneficiary, this is relatively easy. But often there will be other classes of beneficiaries listed, such as charities or “all of my grandchildren”, etc. If you mess up this step, it could cause you a lengthy and expensive court battle later. The next step of the process is to determine what assets were owned by the trust and start to prepare an accounting of those assets. There could be real estate, bank accounts, investment accounts, etc. Similarly, you will want to ascertain whether the grantor had any outstanding debts that need to be paid. Typically the trust itself will dictate that debts should be paid first before any assets are distributed. Once you have located all trust assets, you may need to transfer title of those assets to yourself as the successor trustee. You most likely will need to provide a death certificate and certificate of trust to the financial institution to accomplish this. In addition, you will need to apply for a new tax identification number so that income earned on these accounts can be properly reported to the IRS. Before distributing any assets, it is important to ascertain whether any state or Federal estate taxes are owed. The Federal exemption in 2017 was $5.49 million, and in 2018 that number rose to $11 million. The changes to the Federal laws notwithstanding, there still may be state or local taxes due, depending on your jurisdiction. Throughout this entire process, it is important that you, as trustee, maintain a detailed accounting of all the funds moving into or out of the trust, including income and taxes. You will need to use money from the trust to “wind up” the grantor’s affairs, and pay any outstanding obligations. An attorney can help you to make sure that you have accounted for trust funds properly. As the final step of the process, after all of the trust assets have been identified and debt obligations paid, (including estate and income taxes), then you are required to distribute the remaining trust assets and close out the trust. The terms of the trust agreement will provide guidance on how this should happen. It is possible that you will need to enlist the help of an estate planning lawyer to draft a new trust for the benefit of the beneficiaries. Many people, particularly sole beneficiaries, believe that they can handle the trust administration process without the assistance of a lawyer. They view that as an added expense that is unnecessary. However, failing to use a lawyer for this process may actually cost you more money in the long run if you make a mistake along the way. If you have any questions or need assistance administering the estate of a loved one, please feel free to call our office at (919) 883-4861 or fill out our online contact form to schedule an initial call.